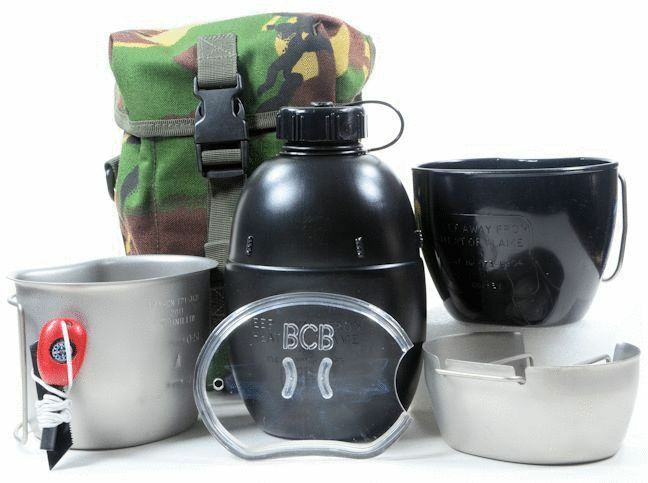 This high grade stainless steel crusader cooker and cup system fit neatly around the 950ml (32oz) Canteen Bottle, to fold neatly away in your bag or on your belt. It is shaped to fit around your body. Quick and easy to use with any solid, gel or liquid fuel. Tough, practical and easy to use. All components are military / NATO approved.